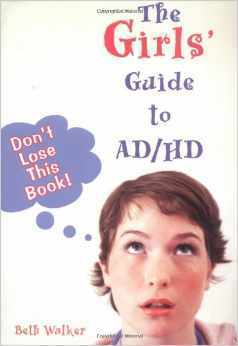 I am happy to say that The Girls' Guide to AD/HD: Don't Lose this Book! sold out-- all 10,000 copies! The used copies are still out there-- and I am still thrilled that the book got out there to encourage girls with AD/HD to keep on going, and to help explain the neurological functioning related to AD/HD. For more recent information on AD/HD, check publications by Woodbine House, the crew that published this book. The Legends of Dragon Lake, Our Golden Hour, October, 2016. Bilingual picture book; English and Marma languages. The Leaf From Heaven, Our Golden Hour, 2013 .Bilingual picture book; English and Marma languages. Voices of the Trees, Our Golden Hour, 2016. Anthology. Active Archive for Dummies, co-author Molly Rector, 2013. "Pocket Pals," Stitch Gifts, 2012. "Smock of All Ages," "Checkers to Go," One-yard Wonders, Storey, 2009. "Unforgettable Card Holder," Pretty Little Presents, 2009. The Girls Guide to AD/HD: Don't Loose this Book. Woodbine House. 2004. "The Singing Bird," Somerset Studios, 2002. "Competitive Knitting," Knit Lit Too, 2004. Short stories - published online in Inkspot and other websites.